This one is dedicated to my sisters. The month of February is the month both of my sisters were born. In fact, their birthdays are a day apart...no they are not twins. Although sometimes I think they act like twins. Anyway, my sisters and I growing up always made "Smith Island Cake" for our birthdays. A little about this cake...it had 8+ layers, Nutella frosting and it was tradition for us to make this cake. So, I gave our Smith Island Cake a new twist...and MORE chocolate. 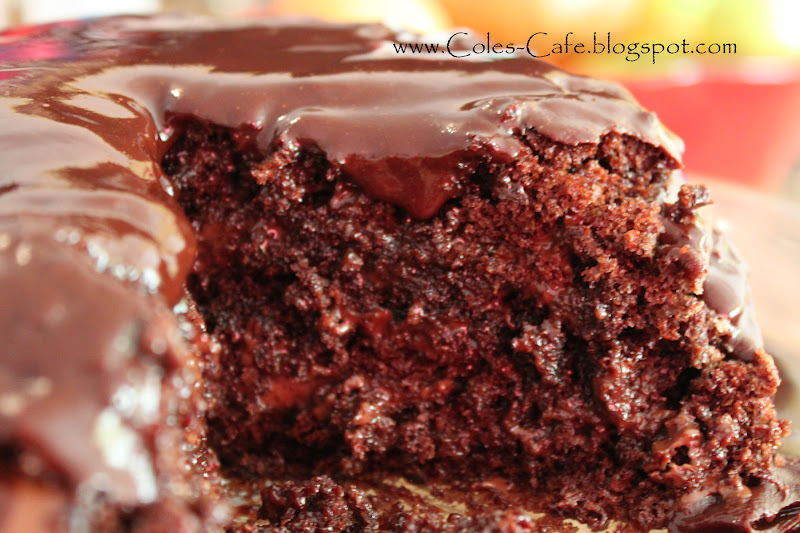 This cake is Moist. Chocolatey. Tempting. Delicious. And it tastes BETTER than it looks. Promise! Sisters, this is for you...Happy Birthday! Preheat oven to 250 degrees. Grease and flour two 9-inch round cake pans. 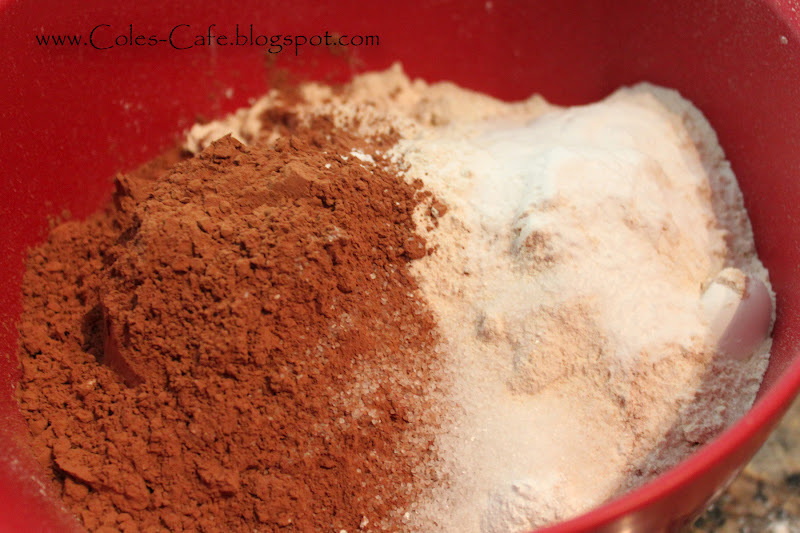 In large mixing bowl, stir together sugar, flour, cocoa, baking powder, baking soda and salt. Add eggs, milk, oil, and vanilla; beat on medium with electric mixer 2 minutes. Stir in water *slowly (so you don't cook the eggs), batter will be thin. 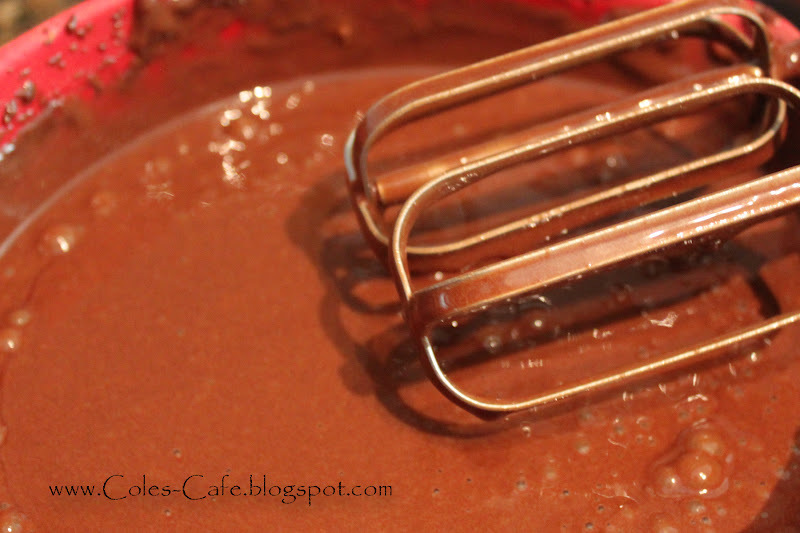 Pour batter evenly into pans. Bake 30-35 minutes (if you do 2 layers; I did 8 and cooked each layer for about 14 minutes) or until toothpick comes out clean. Cool 10 minutes, remove from pans to wire rack and finish cooling. *Note: Make sure to grease and flour your prepared pans well. 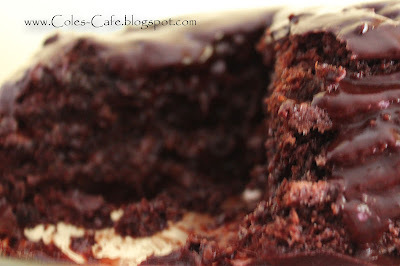 This cake is moist (almost brownie like) and will stick if you don't properly prepare your pans. 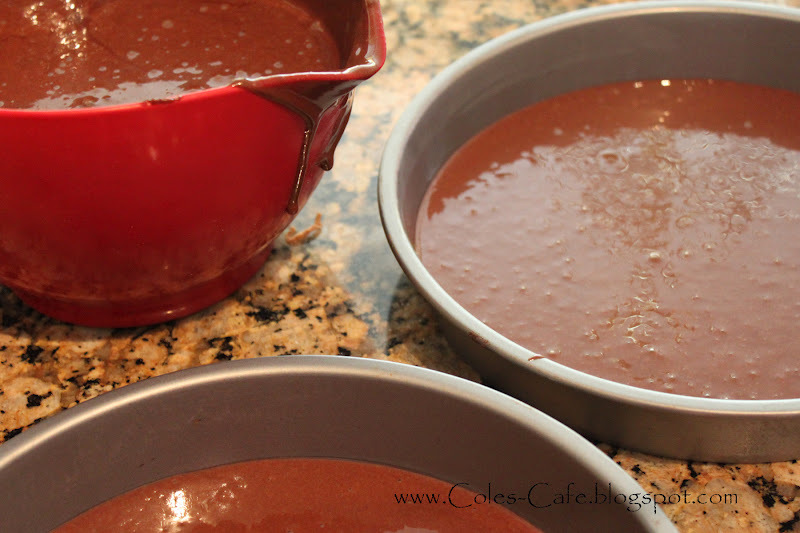 Also, if you are doing 8 layers, just pour enough batter to evenly coat the bottom of 2 round pans and put the rest of the batter aside while the 2 pans cook. Repeat with the rest of the batter until gone. Set aside each layer until ready to assemble. 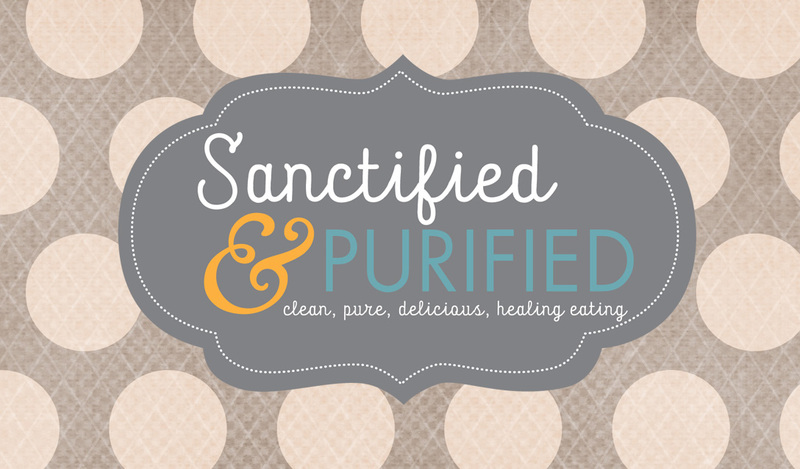 *For the filling between each layer. In mixing bowl, combine large jar of Nutella with 1/4 cup soften butter, 1-2 cups powdered sugar and 1/4 cup milk (or if you want it really creamy, use heavy cream). If you need the frosting thicker or thinner, add more powdered sugar (thicker) or more milk (thinner) to get your desired frosting. You don't want it too thin, but easily spreadable. 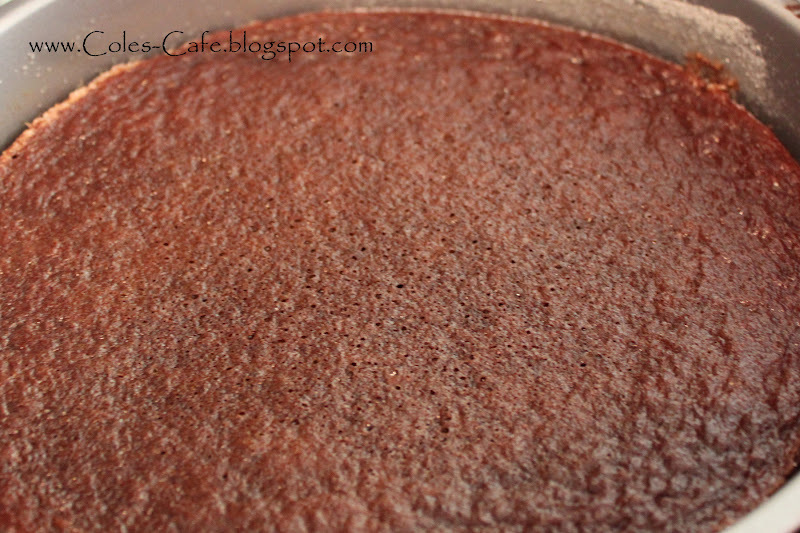 This will be the filling for each layer of your cake. 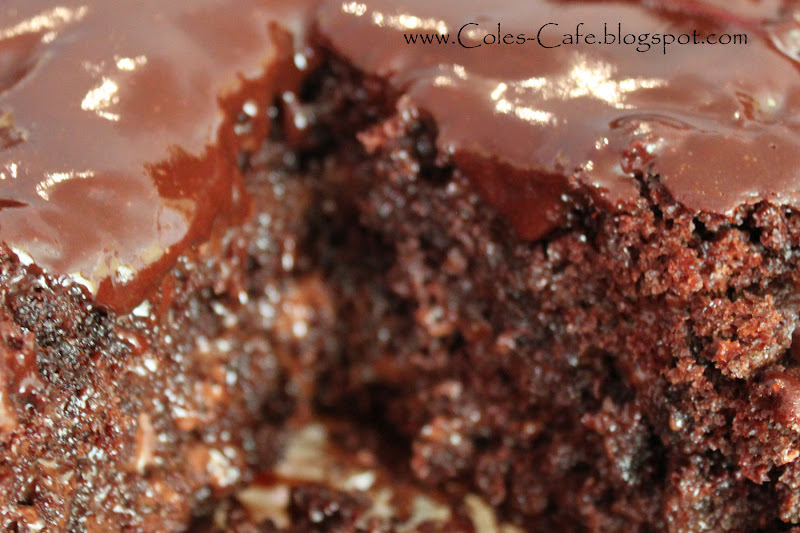 When you assemble the cake, add a layer of cake, then Nutella Frosting and repeat until last layer of cake. 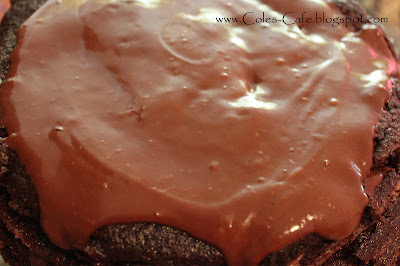 *Do not use Nutella Frosting for top layer (A chocolate glaze is for the top). *For the top of the cake. 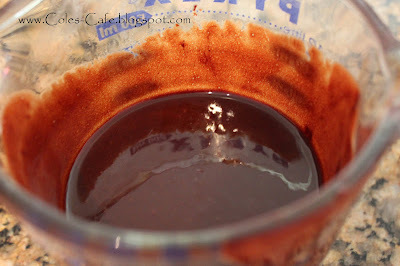 In glass bowl, add 1/2 cup butter (cut into 4 pieces), 4 oz semi-sweet chocolate. Cook in microwave for 30 seconds at a time. Remove after each 30 seconds and stir well. *Make sure it doesn't burn. You can also do this on a double broiler on your stove-top. 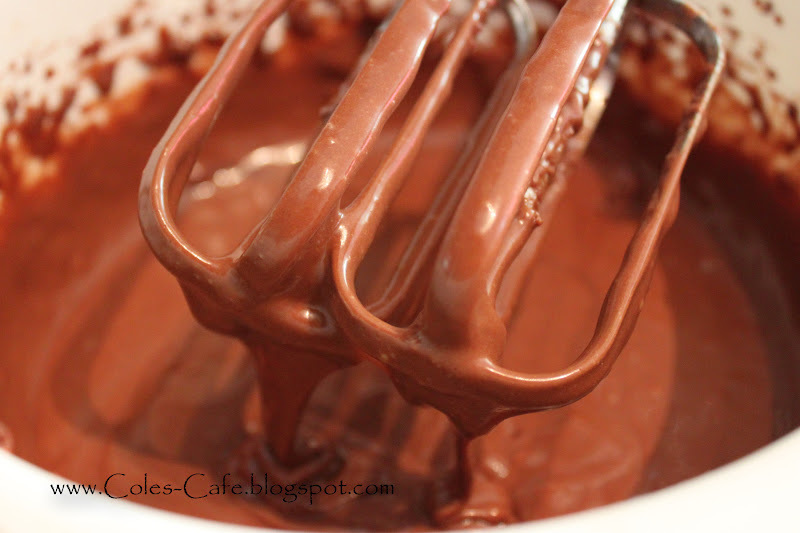 Continue cooking 30 seconds at a time until butter is melted and chocolate is melted. Stir well. Total cooking time should be about 1 min 30 seconds. After you stir the butter and chocolate together and it is incorporated well, add 2 Tb corn syrup and stir well. Pour warm glaze on top of cool cake and let cool (you can place the cake in the refrigerator for a little while if needed. Serve with fresh fruit if desired or whip cream. 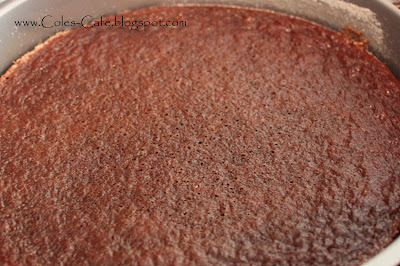 Store extra cake in airtight container in refrigerator. Enjoy! Yum, how decadent! Thanks, sis!! woow!! i tried this recipe and all my family and friends loved it!! 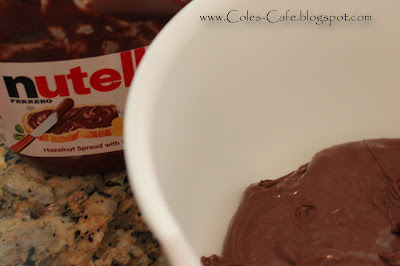 but when im making the nutella filling, the ingredients tend to separate very quickly and i dont get a thin spread (even thought i put like 1/4 cup of sugar). do u have any suggestions of how i can fix it? Tania, I am glad you liked it. Gotta love Chocolate and Nutella! For the Nutella filling, you don't necessarily need to add any sugar if you don't want (all you need is Nutella and a little bit of heavy cream), but I made it more like a frosting, so I added butter and powdered sugar just like a traditional frosting would be. Try this: either put just Nutella in a bowl and add heavy cream, slowly until you have your desired constancy, or add more powdered sugar until it glues itself back together. Just test it slowly until it works. And if it doesn't work, you can always turn it into something else :) Hope this helps.